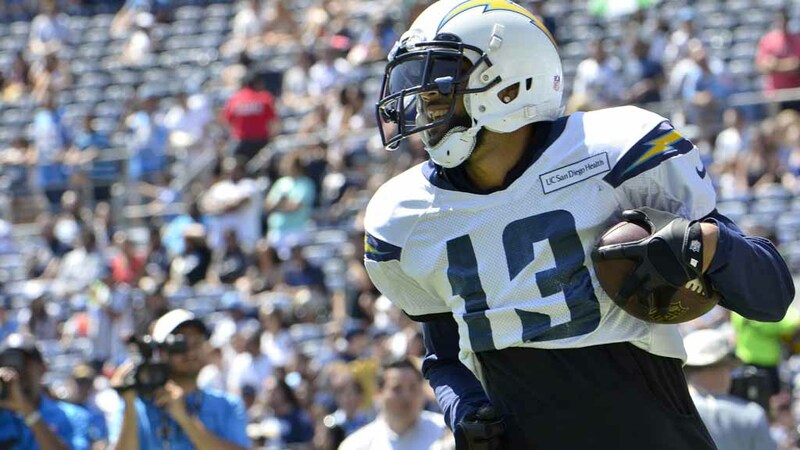 As rumored earlier this week, the Chargers and Keenan Allen have agreed to a four-year, $45 million extension, as reported on Friday afternoon. Allen, entering his fourth year, will be a prominent figure in the Bolts’ passing attack until 2020, which is also the final year of Philip River’s contract. The deal, which includes $20 million in guaranteed money and up to $49 million available with incentives, makes Allen the second-highest paid Charger, and one of the highest paid wide receivers in the NFL. Allen earned the deal with a breakout 2015, catching 67 passes for 725 yards and four touchdowns in only eight games, before a lacerated kidney ended his season. Despite missing half of the season, Allen was still second on the Chargers in receiving yards, trailing only running back Danny Woodhead. Allen will pair with newly signed wideout Travis Benjamin to challenge secondaries in the coming years, and absorb the load that will be left by aging tight end Antonio Gates.